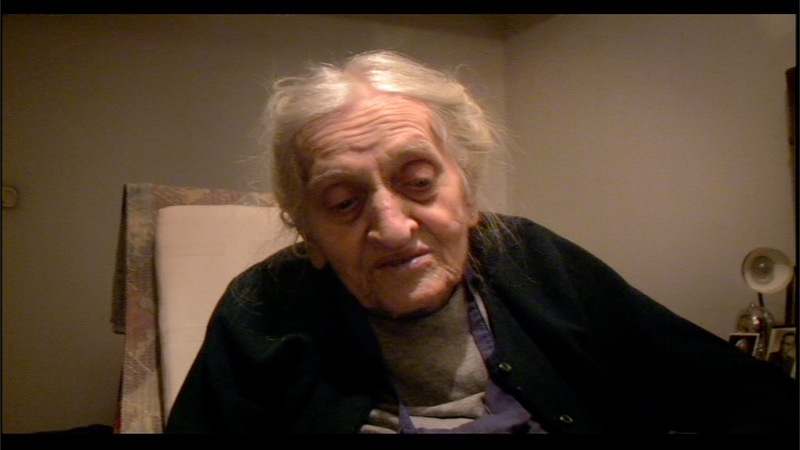 A poetic and visual portrait of the old Polish woman Jadwiga Kubis Waslicka (1919). Her life coincided with the 20th century. The great movements of history, such as communism, capitalism and fascism, meant she had to roam Europe from Poland via Germany and the United Kingdom to Holland. Now she’s back in her homeland, in Warsaw. She is old. Her body is decaying and she’s basically waiting until the angels come to fetch her. 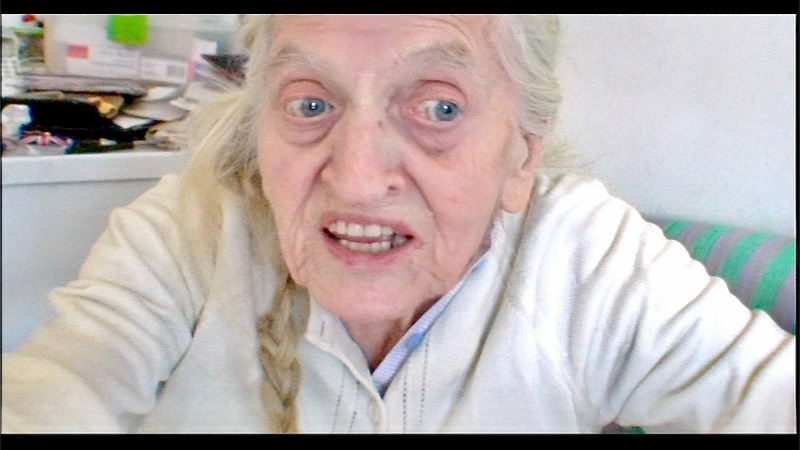 The filmmaker is aware of Jadwiga’s old age and approaching demise, but he also sees much beauty in her appearance. He juxtaposes her wrinkled face with the guilty Polish landscape. At the most intimate of moments, he does not look away and continues to seek beauty in fragility. 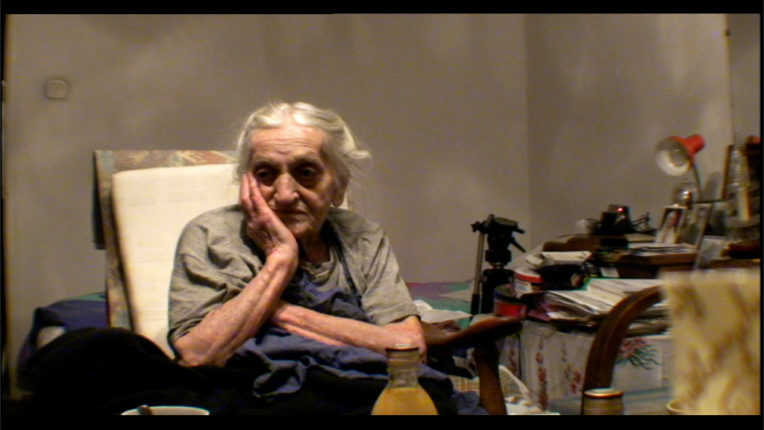 The woman no longer leaves her house, but the filmmaker does. He brings images and sounds back that tell us things about her life, but without words. Images that mix the suffering from the past with the suffering now. 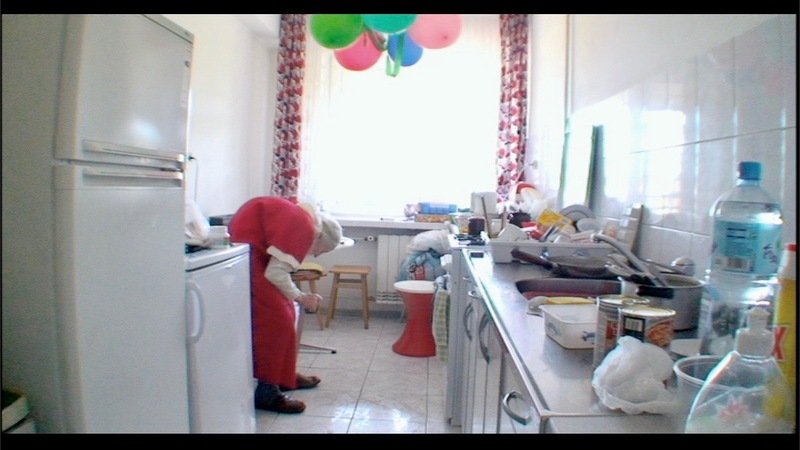 I’m Still Alive is now available on the IFFR platform Unleashed. Watch it here. “There is no script or plan during the filming process, there are only moments, situations. We get caught up in meeting or traveling with each other (…) I just have to film everywhere. this ultimately constitutes the quality of the documentary. “No ordinary portrait and no ordinary woman. (…) She is very much like ordinary people who can be special, who can look particularly at life. 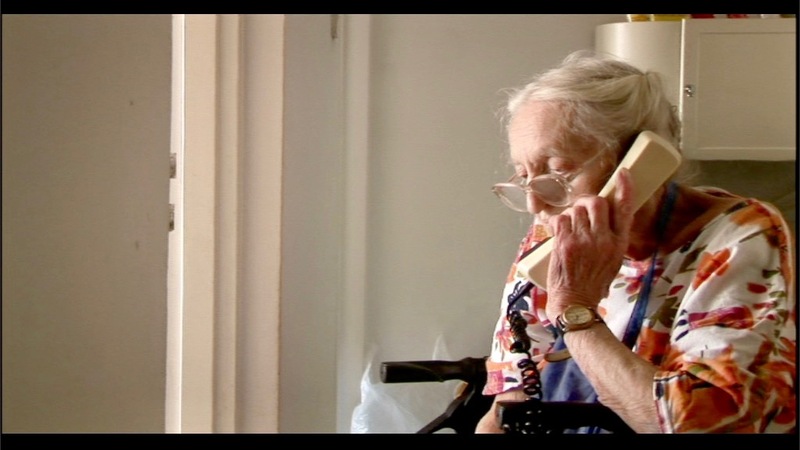 (the film, red) feels like a tribute to a woman who no one knew before, just before she goes to heaven. 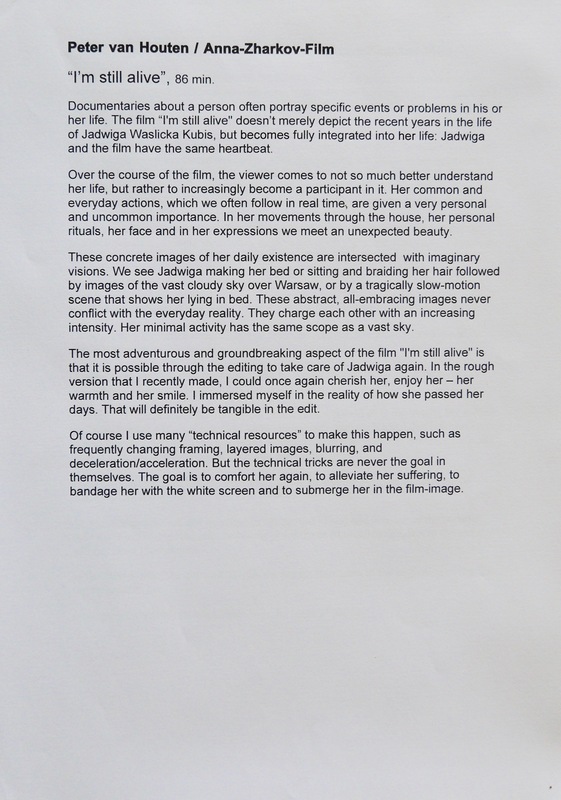 “Over the course of the film, the viewer comes to not so much better understand her life, but rather to increasingly become a participant in it. Her common and everyday actions are given a very personal and uncommon importance. In her movements through the house, her personal rituals, her face and in her expressions we meet an unexpected beauty. Read the full article here. “A journey through Poland. We see the landscape, dark and earthy, with the persistant sound of horse hooves, alternating with sounds of cows and barking dogs. The space and lightness above the clouds can be seen as a possible future home. 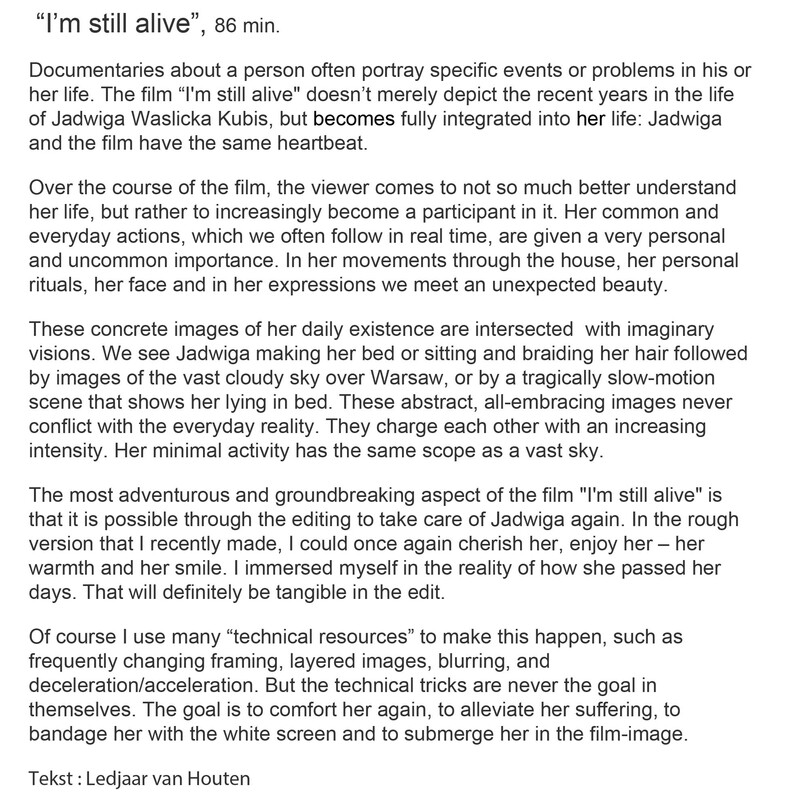 The protagonist Jadwiga Kubis Waslicka exists between these two realms.” Read the full text here.